Free shipping! 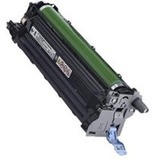 Dell genuine OEM toner cartridges are made for your Dell Printer. Dell MJN86 toner delivers excellent print quality, sharp images and text for 4000 pages.